It gives me great pleasure to be with you today in China, on the occasion of the 11th edition of the IAAF World Junior Championships in Athletics. I believe it is a good opportunity to consider the importance of this competition, not only to the recent development of our Association, but particularly for our future, as we work towards the goals enshrined in the IAAF World Athletics Plan, and the IAAF Centenary in 2012. First of all, the IAAF World Junior Championships is 20 years old in 2006 – so none of the competitors who will take part in the competition this August in Beijing was even born when this event took place for the first time in Athens, back in 1986. 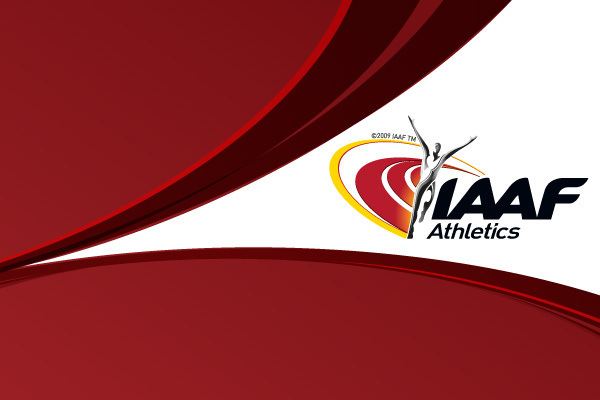 The IAAF World Junior Championships has been, since that first edition, a crucial barometer for the health of our sport, because without top level competition opportunities at a young age, it is extremely difficult for athletes to learn how to cope with the extreme pressure of a World Championships in Athletics or Olympic Games. Over the years, the World Juniors has allowed talented athletes to emerge, and it has also given Member Federations from developing countries, a tremendous opportunity to shine. I am very pleased that, since 1986, the number of Member Federations reaching finals and winning medals at the World Juniors has increased steadily. In 1986 there were Medallists from only 27 MFs and Finalists from 48, while in 2004 there were Medallists from 39 MFs; and Finalists from 68! This huge increase demonstrates the most important trend in our sport in the last 20 years: the growing success of developing nations, who have made full use of the IAAF development strategies with determination and enthusiasm. I am delighted to report that for this competition in Beijing we have a record number of entries – and that 1451 athletes (806 men and 645 women) will be represented from a record 180 of the IAAF’s 212 Member Federations. When we gather in the wonderful city of Beijing, it is understandable that we will be looking ahead a couple of years to the Olympic Games, particularly since past evidence suggests that two years is long enough for a World Junior Champion to turn into an Olympic Champion. Of course, I am particularly looking forward to seeing how well the Chinese juniors perform because that nation has a tradition of producing excellent young talents such as the 110m Hurdles Olympic Champion and world record holder Liu Xiang who finished fourth at the World Junior Champion in Santiago de Chile in 2000. The experience of hosting a World Championships in their home country will no doubt prove inspirational but I repeat that the whole world will be represented at the Chaoyang Sports and Recreation Park in Beijing. I hope that we see a new golden generation emerge in Beijing but until then, the 1992 edition of the IAAF World Juniors has the record for producing the most World and Olympic Championships. Including relay winners, no fewer than 51 World and Olympic Champions also competed at the 1992 World Juniors. I believe that it is clear from these examples that the IAAF World Junior Championships, acts as a tremendous motivation for youngsters. As one of the most important aims of the IAAF World Athletics’ Plan is to ensure that greater numbers of young people get involved with our sport, then the IAAF World Junior Championships will continue to play a vital role. Finally, I know that we were all bitterly disappointed to hear the news recently that Justin Gatlin, the World and Olympic Champion at 100m, failed a doping test. Although his case has not yet been concluded, we must use this opportunity to underline the IAAF’s total commitment to the fight against doping. In order to defend the credibility of our sport, we will engage all our efforts, in co-operation with our Member Federations and other anti-doping partners, to defend the majority of clean athletes, against the small minority who persist in ignoring our anti-doping rules. The IAAF is constantly refining our testing systems, is developing an education programme which tries to change the culture of the sport, and studying the sanctions to see whether they seriously discourage doping or whether more needs to be done. Here in Beijing I am pleased to announce that, in partnership with WADA, the IAAF is running an Anti-doping “Out reach” stand for the young athletes, supported by IAAF Ambassadors like the 3 time Olympic gold medallist Marie-Jose Pérec and other former legends like Mike Conley and Deon Hemmings. This educational programme aims to change the culture of elite sport by having an open discussion with athletes about the dangers of doping and the importance of ethics and fair play. We want them to learn that you can be clean and win. 15 AUG 2006 General News Golden Girls still an inspiration for Bahamian sprinters!